Summer dresses are perfect for the summer time heat. Prints, Patterns, and Bold Colors are here to brighten up my mood, while sipping on an ice cold drink or two. Today’s outfits are two dresses I purchased from Target for only $6 each (I like this one here). What a steal and a deal! My necklaces are Betsey Johnson, I love the sparkle and boldness of these two statement necklaces. 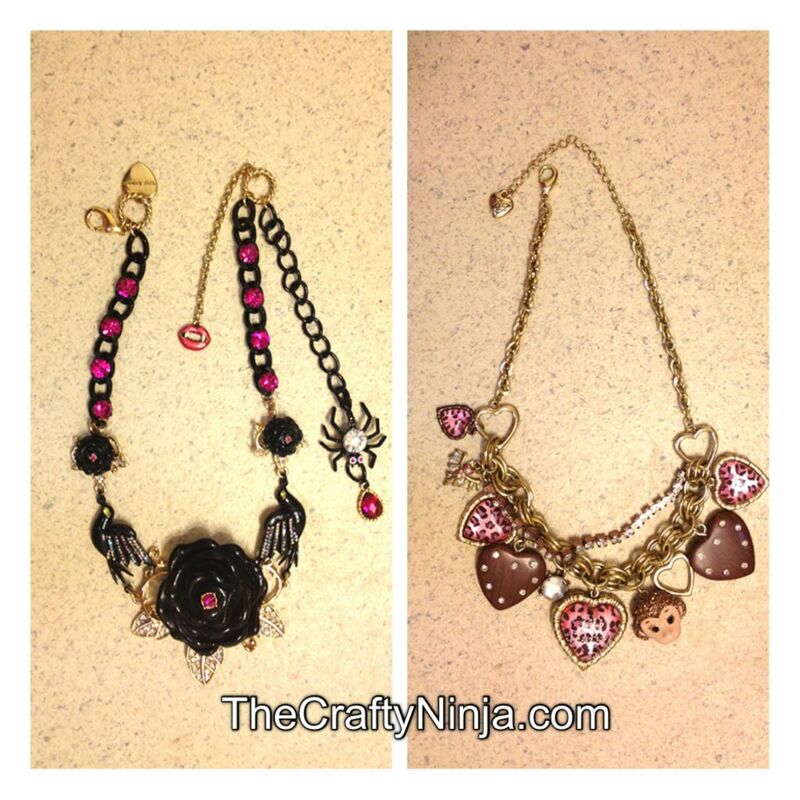 Here is a closer look at some of my favorite Betsey Johnson necklaces. I purchased these necklaces at Macy’s awhile back (I like this one here or here). I have quite an obsession, here is my collection. BJ’s statement necklaces and earrings are bold, edgy, gaudy, over the top, bling, and girly, which are all the reasons I heart her so much!